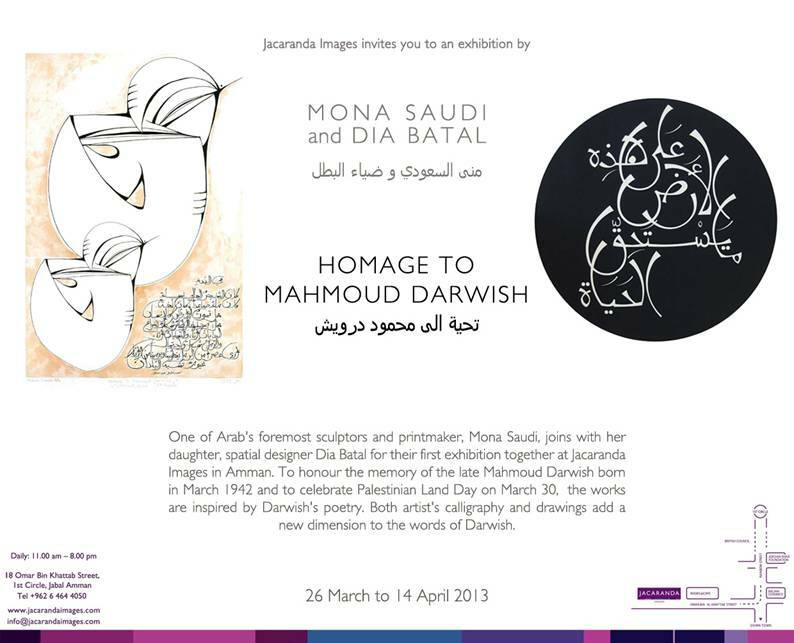 Homage to Mahmoud Darwish is a joint exhibition with my mother, Mona Saudi at the Jacaranda Images in Amman. For me personally, working on pieces for this exhibition has been a tribute for both my Mother and Mahmoud Darwish. Their work has informed my practice over the years and had a role in shaping my identity both as an individual and a Palestinian. We will be showing prints on paper, works on canvas and poems in metal. Do join us if you are in Amman!